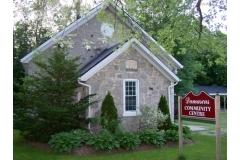 Built in 1870, this former school is located in the quaint Village of Damascus. This facility offers a great country location for family reunions, dinners, private parties and meetings. Maximum capacity of 80 people.